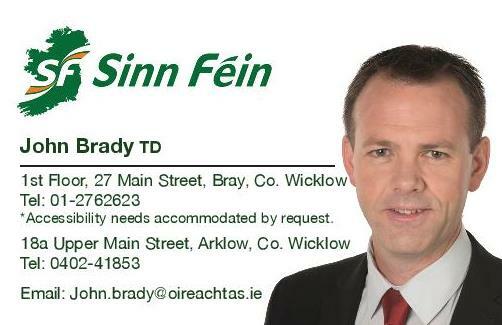 Sinn Féin TD for Wicklow and East Carlow John Brady has welcomed Fianna Fáil’s change of heart regarding the former courthouse in Wicklow town. 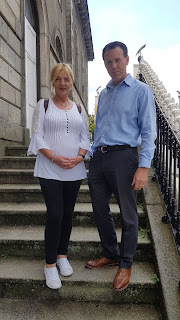 “I read with interest this week that Fianna Fáil are now calling for the former courthouse in Wicklow town to be reopened despite, standing idly by and allowing it to close back in 2010. “The courthouse ceased holding District Court sittings in 2010 having previously ended Circuit Court sittings back in 2008. Seven years later, and Fianna Fáil are suddenly campaigning to have the courthouse reopened. “I have had several correspondences with both the previous Minister for Justice & Equality Frances Fitzgerald TD and the Courts Service regarding the former courthouse. “In April, I sought the annual costs involved in maintaining the unused courthouse from the then Minister Fitzgerald. In 2015 and 2016, the Courts Service spent almost €13,000 on heat, light and fuel costs with just over €4,000 spent on security costs between the years 2012 and 2014. “I have asked both the Minister and the Courts Service to examine reopening the courthouse in Wicklow town and I understand from both that there are no immediate plans in place to reopen the courthouse. “The OPW are currently undertaking a survey of the building to establish its condition and I await these findings. I will continue to work towards the reopening of the courthouse and I welcome Fianna Fáil coming on board especially, when they were responsible for starving it of the necessary funding in the first place.